RNLI Mayday. Arklow volunteer lifeboat crew Sinead Myler, Jimmy Myler and Coxswain Ned Dillion join fundraiser and marathon runner Mary Nolan Hickey fresh from completing her ‘Lap of the Map’ run around Ireland, in Glendalough, county Wicklow to launch RNLI Mayday, a month-long campaign to fund new lifeboat crew kit. 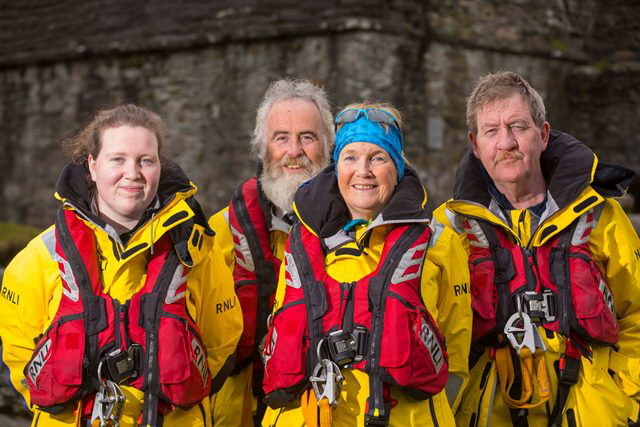 Fresh from completing her 1,509-mile-long ‘Lap of the Map’ run around Ireland, the inspirational marathon runner Mary Hickey has joined volunteers from Arklow RNLI in the stunning setting of Glendalough in Wicklow to launch Mayday, the RNLI’s annual fundraising event. This year the charity is asking people to ‘do your bit – fund our kit’ to help raise vital funds which will be used to supply essential kit for the charity’s volunteer lifeboat crews in Ireland. The RNLI’s Mayday event begins on 1 May and will run for the whole month, with fundraising taking place across Ireland. People can support by the RNLI by buying a crew pin badge, holding their own fundraising event or supporting one of the many taking place across the country. It currently costs €1,862 to provide one all-weather lifeboat crew member with all of the kit they need when responding to the call for help. 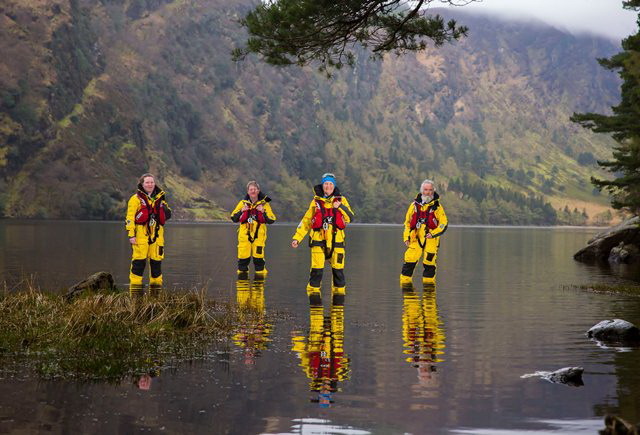 The kit will still be the yellow colour that the RNLI crew are known for wearing throughout the institution. Anyone who wishes to get involved can visit RNLI.org/mayday to register for a free Mayday fundraising pack. The pack provides a host of fundraising ideas, such as encouraging friends and colleagues to plan a wear-yellow fundraiser, getting sponsored to run, walk or cycle, cooking up some yellow-themed bakes to sell or even getting together to lift the weight of a lifeboat. In 2017, RNLI lifeboat crews in Ireland launched 1,103 times, bringing 1,342 people to safety.